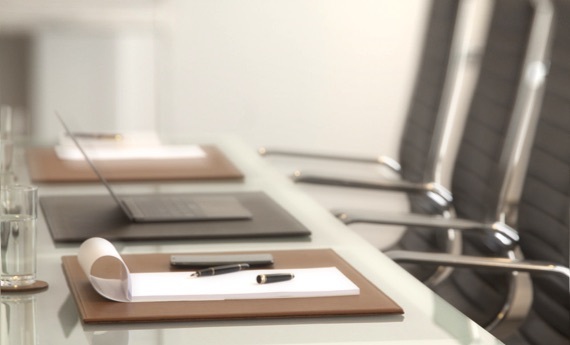 Discover the widest range of office leather accessories available on the web today. Besides their varying functionalities, these articles add a succinct touch of elegance and class to your workspace. 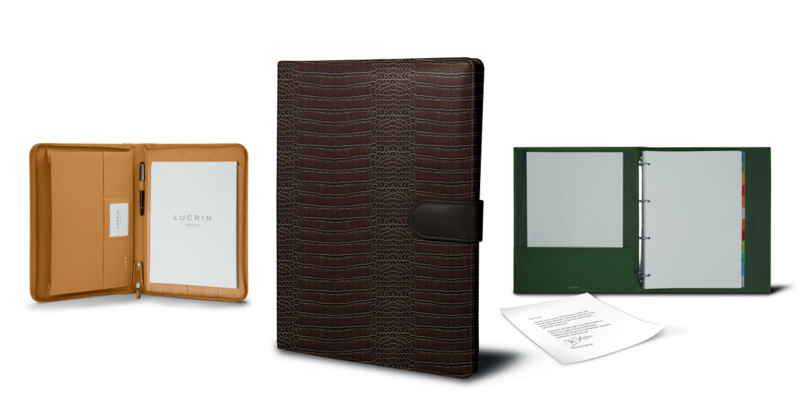 Conceived in one of the best genuine leather of the market, the organisers, folders, binders, paper trays, and the rest of Lucrin's catalogue are hard to find elsewhere. May it be for classifying your documents or making your office decor better, pick the leather office product that will best suit your needs and tastes. Furthermore, you have a large palette of colors and leather types to choose from, which therefore increases the likeliness of you finding exactly what your working environment needs. For those with an affinity for writing or calligraphy, you can choose among the various models of pen cases, pencil kits and canisters. You will also find the absolutely gorgeous desk pads and blotters as well as premium desk sets. An original and luxurious version of the office desk set in croco-style calf leather that will affirm your professionalism. Simple solution for your lost keys, loose coins, or your misplaced phone. 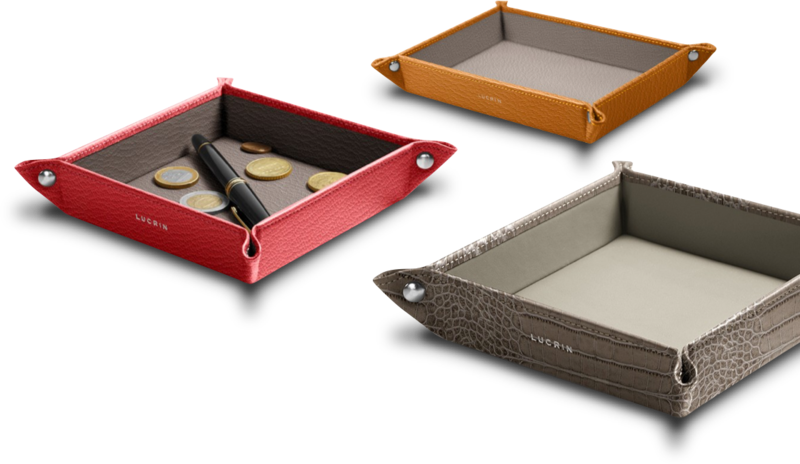 Our valet trays are 100% leather-made, be it the exterior or the interior side. Customize yours in crocodile style leather, goat leather, or one from the Duo Collection, granulated or smooth leather. The choice is yours. Keep everything in one place. Discover the collection of leather document holders in A4, A5 and A6 formats. Store all your important papers, credit or business cards, your tablets and smartphones. Choose your leather, pick an accented thread color, and emboss your initials, name, or your favorite quote - make it a personal matter.